Thinking of words to express our ideas into writing is a challenging trick in writing. As what most people know, vocabulary is important in writing as it gives the meaning to the sentence, to the essay as a whole. Choosing the right word is necessary as we need to find words that will complete the meaning and not confuse the reader with the thought we are trying to emphasize. In writing, it has always been said to avoid using jargons. 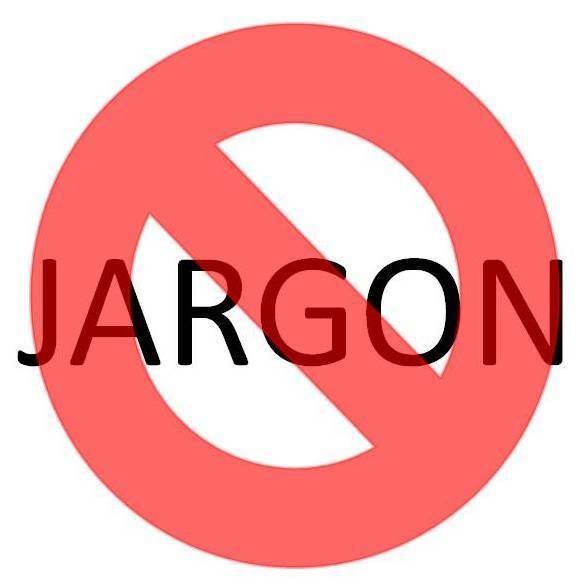 Jargons are special words that are used in a specific group, field or profession that are difficult to understand for most readers – unless you belong to that profession. Since it is special words, using it into writing can cause confusion and misunderstanding. Hence, candidates taking the IELTS or the International English Language Testing System are not advised to use such words. Writing in simple or plain English can help people understand us better and create a positive response from the essay. Incorporating jargons in essays is a wrong move as it is not straightforward and most of the time, difficult to comprehend. Using jargons may make the essay intelligible; however, not all people understand such words so it should be avoided. Here are some jargons used in writing that should be avoided in the IELTS and words that can replace them. Candidates for the IELTS should consider writing in plain English. Writing should be direct to the point without using words or vocabulary that confuses the meaning of the text or even the reader. Instead of using these jargons, think of other ways on how to write these words. Choosing a simpler vocabulary or even finding a word expression can be an alternative. In IELTS review centers, students are always reminded to make use of different vocabulary in their essay without using jargons. An effective and powerful writing uses words that are simple yet strongly used in the essay. Writing is difficult. In fact, it takes time to learn how to write a good essay. However, with the help of IELTS mentors, writing essays for the IELTS becomes easier. Always remember that in IELTS writing, essays should be full in content and not with fancy words to make it look great.